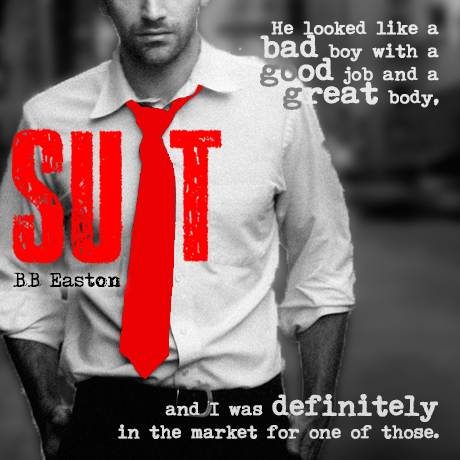 The much anticipated novel, SUIT, by BB Easton is finally live! Check it out and grab your copy today! Because BB Easton had so much fun writing her bestselling, award-winning memoir, 44 CHAPTERS ABOUT 4 MEN, she decided to give each of her four men his own steamy standalone. SUIT is Ken’s book—the hilarious, heartwarming tale of how BB finally got over her bad boy phase and found happily ever after with…gasp…a guy in a tie. Which is exactly why I had to friendzone Ken Easton. The man was a former football star, smelled like fresh laundry instead of stale cigarettes, and had more ties in his closet than tattoos on his knuckles. Pssh. BOR-ING. But the more I got to know my hunky study buddy, the more questions I came away with. Questions like, why doesn’t he date? Why does he avoid human touch? Why does he hate all things fun and wonderful? The psychology student in me became obsessed with getting inside Ken’s head, while the spoiled brat in me became obsessed with getting inside his heart. *SUIT is Book 4 in the 44 CHAPTERS ABOUT 4 MEN spin-off series, but it can be read as a complete standalone. BB Easton lives in the suburbs of Atlanta, Georgia with her long-suffering husband, Ken, and two adorable children. She recently quit her job as a school psychologist to write stories about her punk rock past and deviant sexual history full-time. Ken is suuuper excited about it.